Everyone possesses strengths, defined as “Talent + Knowledge + Skills”. When your work allows you to use your strengths daily, you will be happier and fulfill your greatest potential in your one life to live. Plus, your employer benefits from your increased productivity and engagement. It’s a win-win proposition. In this interactive and engaging workshop, learn how to identify and cultivate your strengths and find the kind of work that will allow you to maximize them every day. Halelly Azulay is a workplace learning professional specializing in guiding people and organizations of all types and sizes to peak performance. She brings over 18 years of professional experience in the fields of workplace learning and communication with regulatory, corporate, government, nonprofit and academic clients. Halelly is president of TalentGrow, a consulting company focused on developing leaders and teams to improve the human side of work through services such as training, teambuilding, and coaching. TalentGrow specializes in teambuilding and facilitation; management and leadership; communication skills; coaching; and emotional intelligence, and works with all organizational levels, from C-level and Senior Leaders to Frontline Managers and individual contributors, in corporate, government, non-profit, and educational settings. Halelly has worked with organizations such as the Food and Drug Administration, Office of Naval Research, Department of Commerce, Department of Education, Office of Personnel Management, Management Concepts, Inc., FINRA (formerly NASD), University of Maryland, National Minority AIDS Council, ebb associates, American Psychological Association, American Society for Health-System Pharmacists, and Johns Hopkins University. She has researched, developed, delivered and evaluated solutions in areas such as teambuilding; management and leadership; communication skills; coaching and feedback; change management; accountability; emotional intelligence; conflict resolution; negotiation; and the Myers-Briggs (MBTI®) personality type. Halelly’s expertise is sought after in the community. She served as a Judge of the Apollo Awards in 2009 and 2010, which celebrate excellence in employee development within companies of all sizes in the Metropolitan Washington, DC, area. She speaks at conferences and meetings for organizations such as the Human Resource Leadership Forum, The National-Louis University Women’s Leadership conference, The International Coaches Federation and the Henry M. Jackson Foundation for the Advancement of Military Medicine’s Management Conference. Briggs Type Indicator (MBTI), Emotional Quotient Inventory (Bar-On EQ-i), the Apter Motivational Style Profile (AMSP), the Index of Emotional Intelligence, Development Dimensions, Inc. (DDI) training, Conner Partners’ Change Management methodology, and PDI’s Profilor 360 Assessment. 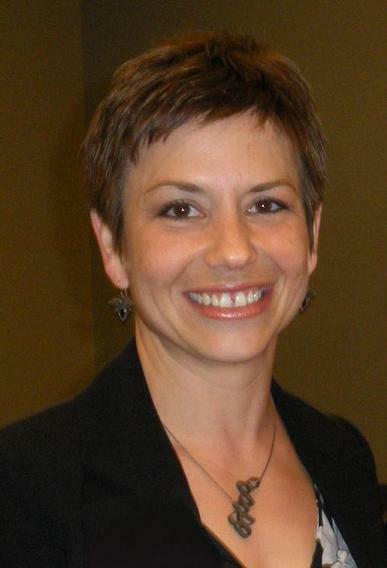 She has completed coursework toward a Human Performance Improvement (HPI) certification and ICF Coaching Certification. Halelly is Past President of the Board of Directors of the award-winning Metro DC chapter of the American Society for Training and Development (ASTD) where she served in various Board leadership roles from 2005 to 2010. She is active in her professional community and actively seeks professional development and networking opportunities on a regular basis.